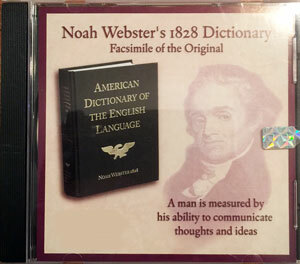 This CD contains the 1828 Noah Webster's American Dictionary of the English Language. A breath of fresh air in an era of political correctness and subjectivism. The CD-ROM edition is for Microsoft Windows only; it is not compatible with MacIntosh operating systems. Also, the CD-ROM must be registered to function and may only be installed on one computer.